Home Features What Does the Black Belt Really Mean? 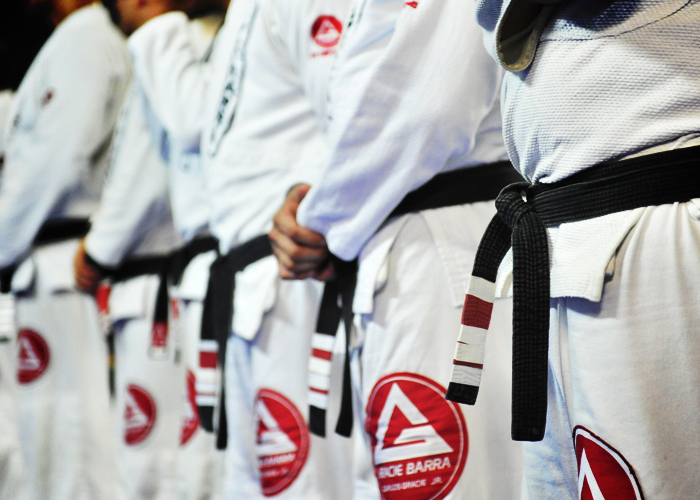 The Black Belt is the most well known symbols in martial arts of all types, from stand-up to ground-game disciplines. But the concept is full of misconceptions and stereotypes. To those who have never trained, the Black Belt represents the highest level of martial arts skill. To a new Mixed Martial Artist, a Black Belt becomes a worthy goal. For serious Mixed Martial Artists, it becomes an ideal, a lifestyle. But what exactly is a Black Belt and what does wearing a Black Belt really mean? Many people think that Black Belts had been around for thousands of years. 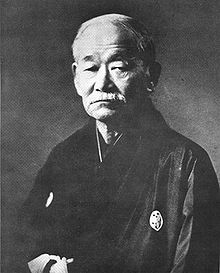 One explanation to the origin of the Black Belt that has been around for a while is; the harder a student trains, the darker their belt gets from the sweat, dirt and blood. When it finally turns black, they are considered experts. 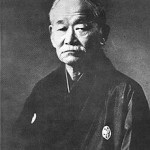 This is not true but makes a great bedtime story.The fact is that when the first Judo Black Belts were given by Jigoro Kano in the mid 1880′s, they were used simply as a visual way to acknowledge and separate his most experienced students from the rest. Prior to that, technical skill was rewarded with scrolls or certificates. Is a Black Belt just a reward, or is there more to it? The idea that you have to be a dominant fighter, or be able to break bricks with your head prior to being considered a Black Belt is impressive, but false. The Black Belt is more about internal growth and discipline than fighting prowess. For a lot of training facilities the belt system has become a huge money maker. A significant fee is charged for every test to move up a belt. Taekwondo seems to be the most notorious to practice this. So does capitalism ruin the the gravity of the Black Belt? Is the black belt gained at a strip-mall Taekwondo facility the same as a black belt earned at a Brazilian Jui Jitsu academy? The obvious answer is, Hell No! 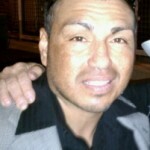 I have been training in Muay Thai for 10 years. I have never tested for a belt. The only test that I have is in the ring. If I win, I have trained hard enough, if I lose I need to train harder. Muay Thai has become a catalyst for me, a change in lifestyle and philosophy. It has become a way to overcome fear and pursue accomplishment. A Black Belt to me is just that, a black belt. The discipline, unbreakable spirit and perseverance that it takes to make it from White Belt to Black Belt is more impressive to me than someone’s ability to break boards. Most people can’t stick with anything for a few weeks, let alone three to four years of constant practice. And it’s during this time that we learn that the martial arts is about self-improvement, not just self defense or dominance in the ring. We begin to look past the belt and see the ideals of the Black Belt Excellence, such as honor, integrity, brotherhood and discipline as the goals. The Black Belt should be the beginning of training, not the end. The truth is that wearing a Black Belt does not mean anything if you are not living and training like a Black Belt. In fact, anyone who wanted to could call a martial arts supply store, spend $30 and get a brand new black belt in the mail within a few days. But without the dedication, ideals and values of Black Belt Excellence, that belt is just a worthless piece of cloth.